Right now the newest Bourne movie, The Bourne Legacy is in theaters. I haven't seen it yet, and I'm not sure I will. I love the Bourne films, really I've seen all of them a whole bunch of times, and in fact, the last time I went to a movie theater it was to see the Bourne Ultimatum, that was like seven years ago. The thing is this movie isn't about Jason Bourne, so what the hell is going on here? I mean it people. What the hell is going on here? 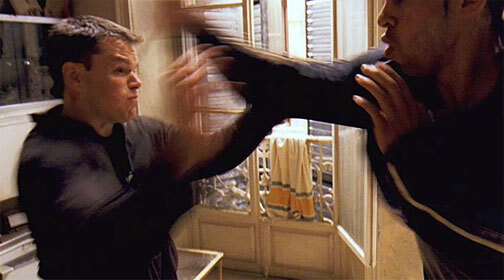 You can't have a Jason Bourne movie without Jason Bourne. There have been a few let downs out there in move sequel land. Few hit home harder than Major League 2 or Teen Wolf Too. This Bourne abomination however may just be the kill shot. The difference here in contrast to those two films, in the sequel to Major League, you've got both Charlie Sheen and Tom Berenger's characters returning to reprise their starring roles as veteran catcher Jake Taylor and wild pitcher Ricky Vaughn. Conspicuously absent however is the Wesley Snipes character Willie "Mays" Hayes, the movie was called Major League though, not "Willie Mays Hayes and Some Other Guys Play Ball" had that been the case, a sequel without Snipes' character would have been out of the question. 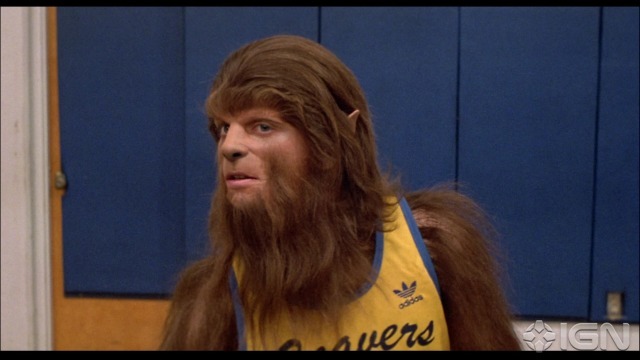 Similarly we have Teen Wolf, starring America's favorite Canadian Michael J. Fox who plays Scott Howard, a teen aged kid who turns into a werewolf. In the sequel, Jason Bateman who for about 25 years seemingly disappeared off of the planet before becoming relevant again played Todd Howard, related but a different guy, maybe they were cousins, I never saw the sequel, so I don't know. Had this movie been called "Scott Howard Does the Wolf Thing Again" but only had Todd Howard in it, it would have had some issues being taken seriously, and fact is, it probably did anyways. My point though, and I think it still stands, you can't have a Bourne movie without Jason Bourne or at least his cousin, in the Bourne Legacy we have neither, or so I've been told, I haven't seen it yet. 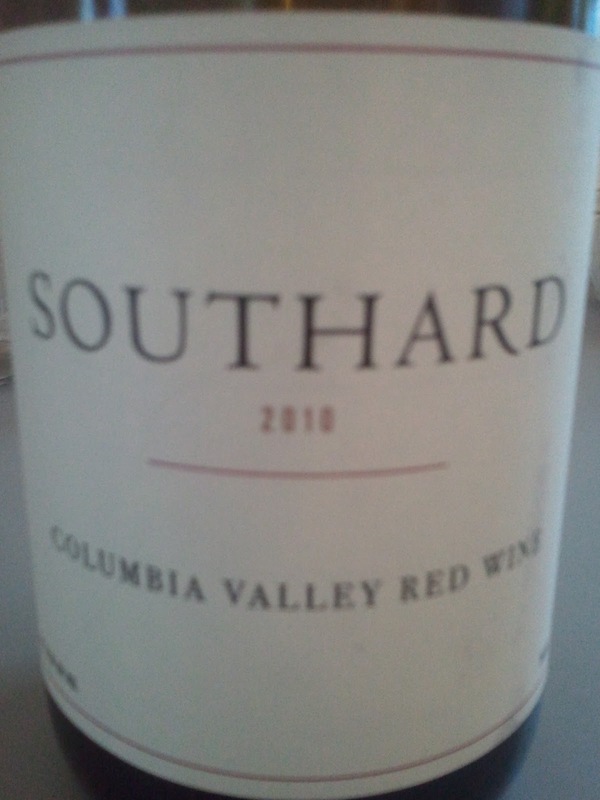 This week's Friday Find is from Southard Winery of Yakima Valley. It's the 2010 Columbia Valley Red Wine. The winery has received considerable publicity from Paul Gregutt and is kind of the new "it" winery going right now. This wine is unique in a few ways, certainly not the blend, which the best I can tell is a Syrah and Mouvedre, but at $15 what you don't get is a supremely oaky luxuriant red wine. Instead the wine is restrained and mineral rich. I will go so far as to say you must let this wine sit open for a few hours, to enjoy it and point of fact, it's better on day two. 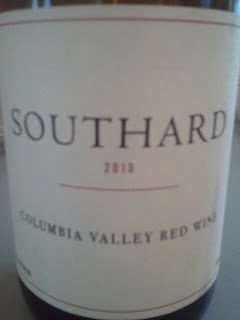 The Columbia Valley Red Wine from Southard has lots of chalky minerality on the nose and faint elements of blackberry, open initial opening it gives off green elements that would lead one to believe the fruit was under-ripe but over a few hours this transformed into black pepper, dusty cherries and minerality. With a little time open, this can be quite the Friday Find.